Wayne: What made you join Navy? Lt. Trosper: I’ve always wanted to be in the military. My mother instilled in me a huge sense of patriotism as her father was an Air Force officer. Somewhere along the way this dream fell by the way side, but it was never forgotten. I married military and was further surrounded by that sense of pride for my country and a duty to serve. I served as a military spouse, but I wanted more. Once I had been a nurse for a few years I learned more about the opportunities available in the Navy reserves. I knew there was a remote possibility I could be deployed, and I knew that would be a challenge, but I also knew I had an army of support behind me. I also knew I had a lot to offer and wanted to utilize my skills in service to my country. I commissioned on September 27th 2012. I received orders to Afghanistan in June 2013. And thankfully that army has been behind me and my family. Wayne: I saw your father’s poem he wrote for you and posted on YouTube called a Father So Proud, Is this something he created for you just before leaving to Afghanistan? Lt. Trosper: My dad did create that poem in honor of my deployment. In fact he finished it while I was still in combat training in preparation to come here. I first heard it while sitting in the barracks in Fort Jackson, SC. I cried. My dad and I haven’t always been close, but for the last 10 years or so we have been. It was kind of the culmination of many things and I could feel his love and pride for me in those words. 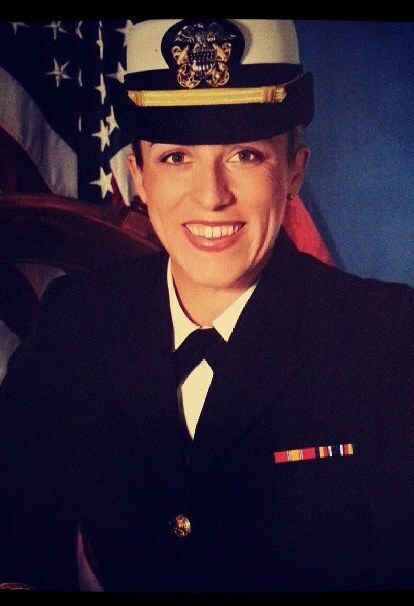 Wayne: Tell us about your challenge with balancing being a nurse in the Navy, a mother of two and a military wife. Lt. Trosper: Balance… it’s like a curse word for me. Not only am I a full time ICU nurse, a part time flight nurse, a nurse in the Navy Reserves… but I’m a wife, and mother of two awesome kiddos. I couldn’t accomplish any of it without that army I talked about earlier. I’m surrounded by people who love me and my kids. My husband is a great help, obviously (but he works just as hard at his job as I do). My mom also lives with us full time and is my lifesaver. 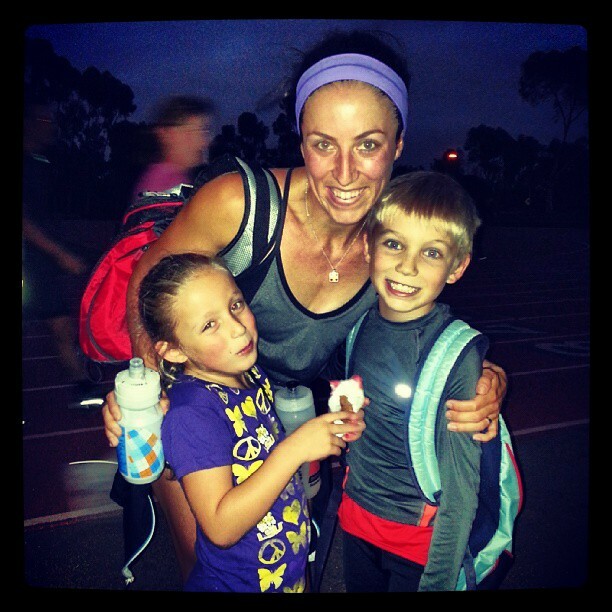 She works as a triathlon coach and official. Between the three of us we are able to manage the brood. This includes 4 dogs as well. On my fridge I have the alphabet magnets arranged to say “Crazy Town” because my life is a constant three ring circus. But I truly love it, I work best when I’m firing on all cylinders. But I work hard and play hard. We take great vacations and I find time in my day for me… usually to work out!